Launch Service Agreement contracts are projected to be announced in September, according to the Air Force Space and Missile Systems Center. WASHINGTON — The Air Force is expected to sign deals with three, possibly four, space launch companies as it seeks to capitalize on private investments and fast-moving technology. Launch Service Agreement (LSA) contracts are projected to be announced in September, according to the Air Force Space and Missile Systems Center. The LSA program kicked off more than two years ago with the goal to ensure the United States has at least two domestic commercial launch service providers that meet national security requirements. Three rocket manufacturers — SpaceX, Orbital ATK (now Northrop Grumman Innovation Systems) and United Launch Alliance — as well as propulsion system supplier Aerojet Rocketdyne received an initial round of research and development contracts. Now the Air Force will have to decide who stays and who goes for the next phase of the program. A new player is now in the mix as Jeff Bezos’ Blue Origin reportedly submitted a proposal for its New Glenn rocket. None of the companies would comment for this story due to the sensitivity of the competition. The Air Force first planned to announce LSA awards in July. Industry sources told SpaceNews that the decision was delayed as the Air Force needed more time to evaluate Blue Origin’s bid. By most accounts SpaceX is guaranteed to get a piece of the overall LSA funding, estimated at approximately a billion dollars over several years. The Air Force’s most trusted launch supplier, ULA, also is expected to be selected even though it is offering a new vehicle that may not be ready to fly until 2020. The big question is who might get the third award. One source speculated that the Air Force could award Northrop Grumman a contract to keep its Omega rocket alive but might also give Blue Origin seed money to ensure it has some say in the development of New Glenn. The Air Force’s LSA decisions could reshape the industrial base. If companies that almost entirely depend on government contracts are not awarded funding, they might have to exit the market, analysts project. Commercial players like SpaceX and Blue Origin presumably would not need military business to survive, taking some financial pressure off the Air Force. According to the plan laid out by the Air Force, the selected three or four suppliers would complete the development of their vehicles by about 2021, and then the field will be narrowed down to two. The two winning vehicles would split an estimated four to six launches each year. At the end of this phase of the program, the Air Force could decide to have a full and open competition so companies that didn’t win the first time get another shot. The Air Force first conceived the LSA program to take advantage of industry investments in launch vehicles and ensure they are modified to meet national security space requirements. 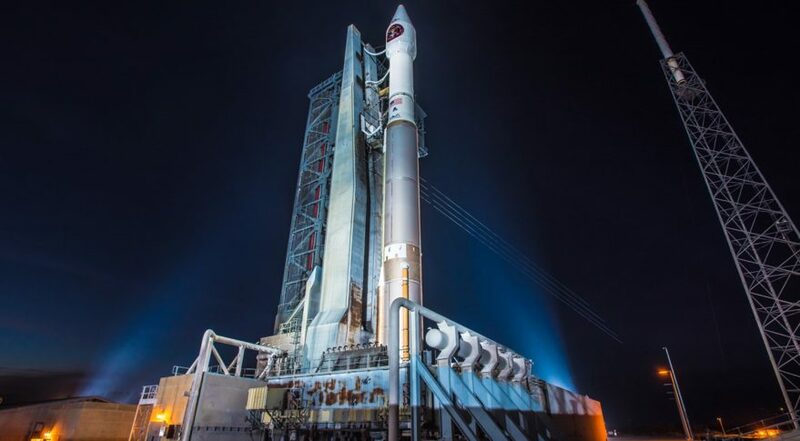 Another imperative is to comply with a law that requires the Air Force to phase out the use of the Russian RD-180 first-stage engine in ULA’s Atlas 5 rocket by 2022. The LSA program seeks a domestic alternative to the Russian engine. Most national security launch contracts today are awarded under the Air Force’s Evolved Expendable Launch Vehicle program. Per congressional mandate, EELV as of March 1, 2019, will be renamed “National Security Space Launch” program. A commercial approach to buying launch services carries some risk, analysts cautioned, because it assumes suppliers will not depend on the government to stay financially viable. This is one reason why a vertically integrated company like SpaceX — which could fill its rockets with its own satellites — is an appealing proposition. The Air Force wants to avoid a repeat of what happened in the 1990s, when then rocket providers Boeing and Lockheed Martin had forecast a large commercial demand that never materialized. That led to them combining their launch operations into what is now ULA. ULA could face delays at it tests a new main engine on Vulcan. “Any design will need to be refined once a final decision is made on the engine,” said Ostrove.